A few simple tips when installing, handling, and routing a wire harness can extend the lifespan of the wires, ensure peak performance, and facilitate both installation and repairs. Damage to wires, on the other hand, shorten the lifespan of connections and can seriously impact the functioning of associated circuits. If you’re getting the wires from wire harness manufacturers, you’ll likely find them well dressed already. If not, then you need to do the dressing on your own. Dressing makes the wires entering and exiting the bundle neat and presentable. Strain relief on all terminated ends of the harness makes it easier to install and repair, while proper routing and shielding ensures that signals reach the intended destination free of cross talk and interference. Bird-caging, for example, can be prevented by twisting the insulation from the end of the wire at the same rate and in the same direction as the manufacturer’s twist. This twisting makes soldering to a terminal or into a cup much easier. It also prevents shorts. If you can access the manual from your wire harness manufacturer, you should be able to see the proper way to break a wire out of a bundle. During breaking, a minimum bend radius of the conductor and required strain relief must be observed. Ensure that the location of the termination and the break out point allow for gradual curving to the termination. You must never over bend wires. Apart from its importance when breaking out of a harness, strain relief also helps with terminating wires. For instance, if an electrical cabinet is movable, the strain relief on the connectors will provide for such mobility without breakage. The same applies to when temperatures change. Wires typically expand and contract in warm/hot and cold weather respectively. You need strain relief to accommodate such flexibility. Strain relief can be easily accomplished by adding a maintenance loop before the termination point. Alternatively, ask your wire harness manufacturer for help. A well maintained wire harness with proper cable routing is neat, guarantees signal isolation and integrity, and saves material. For more information, contact Meridian Cable Assemblies. 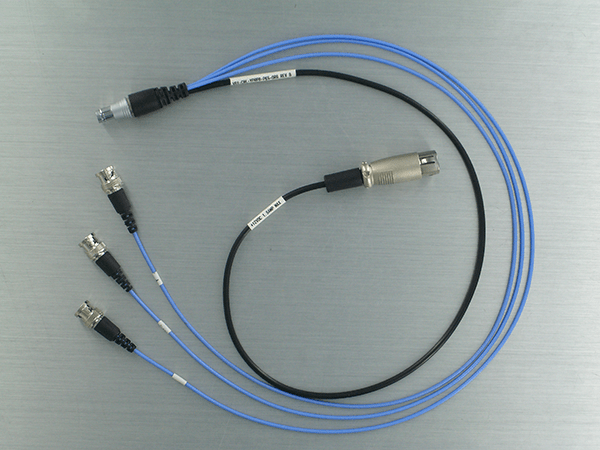 For more than 25 years, Meridian Cable has been designing and manufacturing cable assemblies across many industries, from broadcasting and telecommunications to retail security and industrial controls. Our expertise lies in custom solutions—in fact, more than 70 percent of the products we produce, we design. We excel at product start up, from qualification samples to prototype runs to full pre-production testing and finally volume manufacturing.